The 2011 En Primeur season is in full swing, or at least mild rock. A runt after two prodigies (the stellar 2009 and 2010 vintages), who is actually buying this stuff despite often token price reductions is frankly beyond me. Bordeaux is a fascinating region, producing some of the finest wines in the world in a variety of styles (as well as, whisper it, oceans of plonk), but they’re doing their best to scare away lower and even middle-brow wine consumers with their eyebrow-arching asking prices. I don’t mind; whoever’s able to buy it is welcome to it, there’s plenty more bottles on the shelf and all that. But before I turn my back on Bordeaux, there is one en primeur investment I wouldn’t want to miss out on. I’m never, or at least extremely rarely, going to sup Pontet Canet or Conseillante or their ilk on a night out with pals. They have built their gilded castles way, way beyond my wine-buying horizon. But for one afternoon each year I can tilt my glass with the big boys for a song. 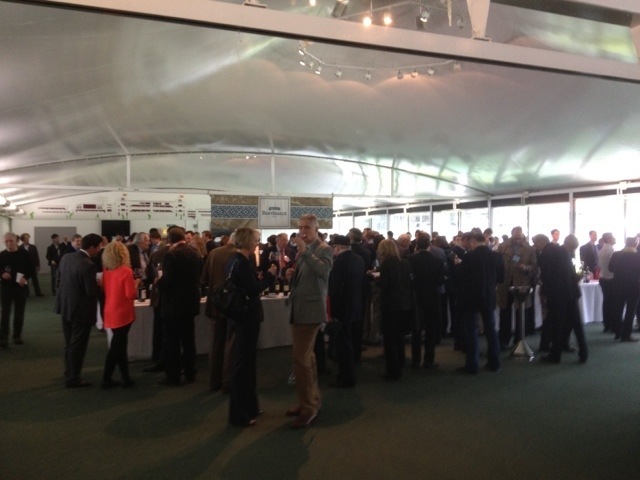 This is Bibendum’s annual en primeur tasting, attended by literally hundreds of chateaux, each of them bringing their latest vintage and an older one of their choice, by way of comparison. And a ticket costs £40 (up from £30 last year, but still a steal). Not only that, the wines often come in the hand luggage of the winery’s actual owner. So today, on the day his latest wine was released to the market, Pontet Canet’s Alfred Tesseron, whose product over the last five or so years has risen from relative obscurity to unanimous acclaim, was pouring me – me – his wine and asking for my opinion. 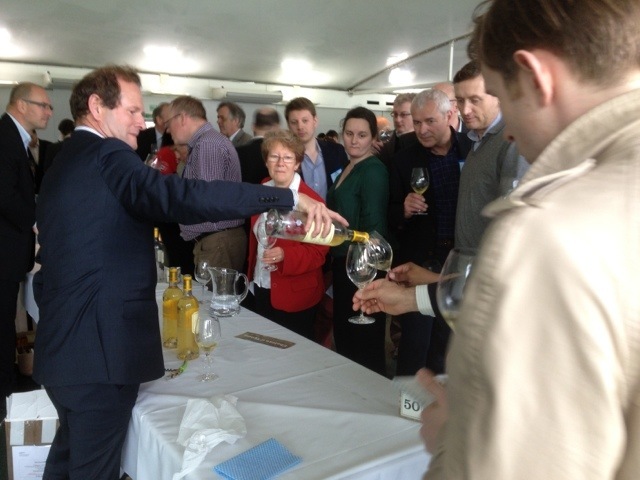 Here’s Pierre Lurton, manager of Chateau d’Yquem – Chateau d’Yquem! – pouring anyone who looks interested a generous slurp of his fabled liquid. It’s the 2008, not rated among the finest vintages but still knocking on the door of £200 a bottle retail. How much would a glass of this set you back in any other establishment, let alone with it being poured by the man in charge? A lot, readers, is the answer. 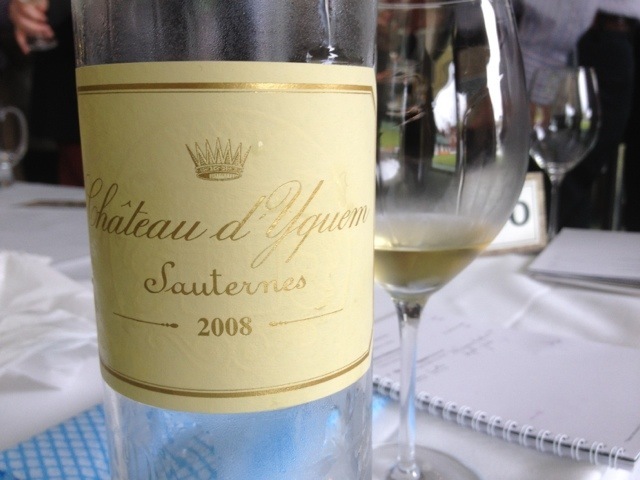 I’d never tasted Yquem before, and my two samples (I admit it, I went back for seconds) were worth £40 on their own. I’m basically hard-wired to dislike things everyone says I should like. It comes naturally to me. So it pains me to have to say that this wine – less stellar vintage be damned – is among the finest things to which my mouth has ever been introduced. It is the type of stuff that would get any wine-lover reaching for The Great Big Book of Overblown Guffoonery. It is harps and choirs of angels and sunrise over the Sea of Galilee, juiced and bottled and poured and sipped. I tasted some excellent 2011s, but my wallet’s staying in my pocket for this one. At the cheaper end, the one I shop at, it’s best to buy only in the good years. Whether 2012 will come to be ranked among them remains to be seen: this year’s grapes are still babies, with months of growth in still uncertain conditions to come before anyone considers them ready for picking. But I can tell you one thing about the new vintage already: when the Chateaux come to London to show it off, I’ll be first in the queue. Thanks for another engaging article. You didn’t mention how one get’s a gig at this tasting. Is it open only to trade and journo types or mortal punters too?